I've been working on polishing some things like weapon sounds. They are now generated in-game based on the technology config file and are the same length as the duration of the shot (for beams). But the super-big thing has been runtime scripting. 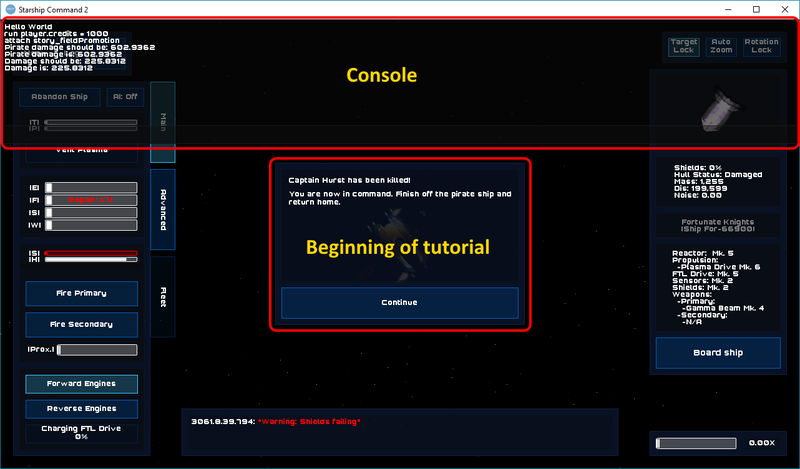 Starship Command 2 now has a console that can run commands such as player.credits = 1000 or even attach external scripts to run concurrently. 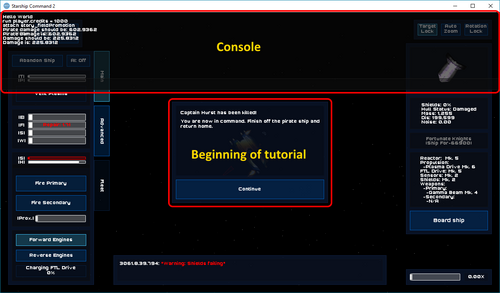 Having this means I'm working on a proper tutorial! So I'm planning the first beta release in the next week.